The site stats now look like this: Population ranges from 141 to 2417 with a mean of 999 and a median of 879. The size of the community according to cadastral boundaries is from rounghly .5 sqkm to 10 sq km with a mean of around 3km. and the population density according to census figures runs from 36 people per sq km to 1200. Programmers like Oscar Perpiñán Lamigueiro are the reason I love R! 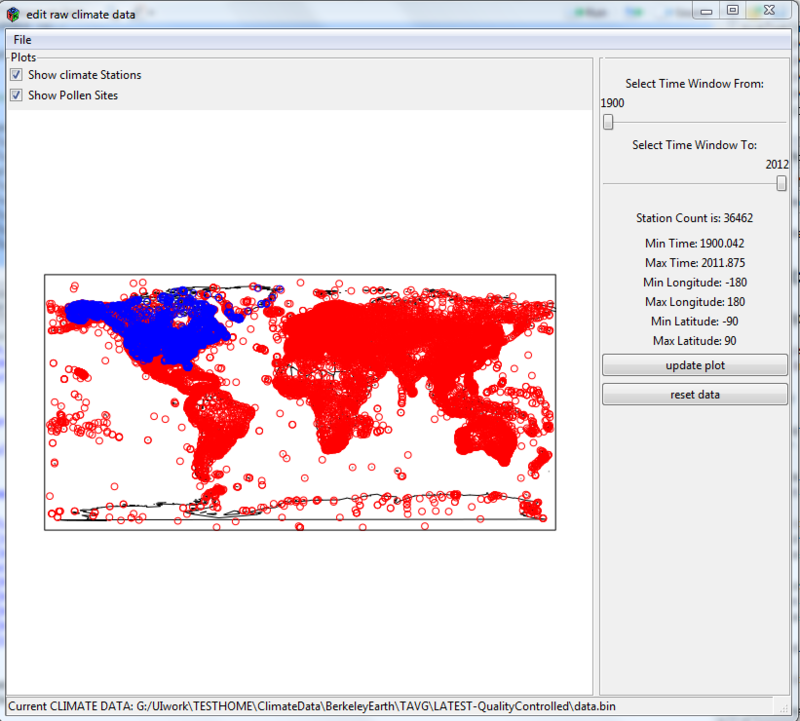 Oscar is the maintainer of the rasterVis package and it in this post I’ll explain why it is must have package for anyone working with the raster package in R. My latest project is focused on the NOAA’s Climate Reference Network. The details can be found here. 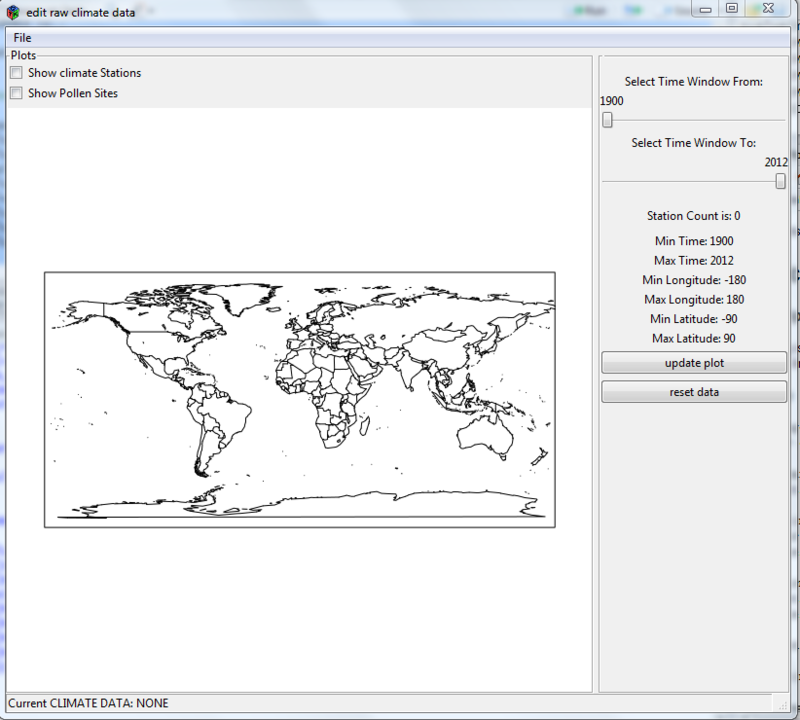 Over a year ago I wrote a package call CRN designed to download and organize the data from the Climate Reference Network and I wanted to update and put some finishing touches on that package. In the course of that I decided it would be a cool idea to build a detailed metadata package for the stations. The CRN is a rather like a gold standard of climate data collection. Triple redundant sensors, 5 minute data, hourly data, daily and monthly. The sites have all been selected using rigorous standards and as the system has matured the data availability rates are close to 100%. Here are just of few of the projects I have in mind. 1. 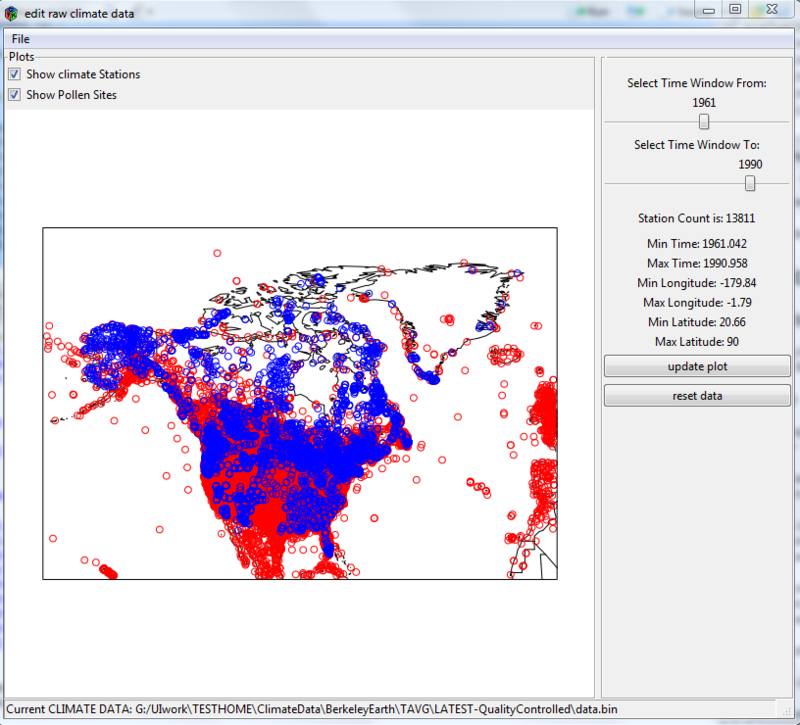 Doing a proper estimate of the US temperature using just the CRN stations. 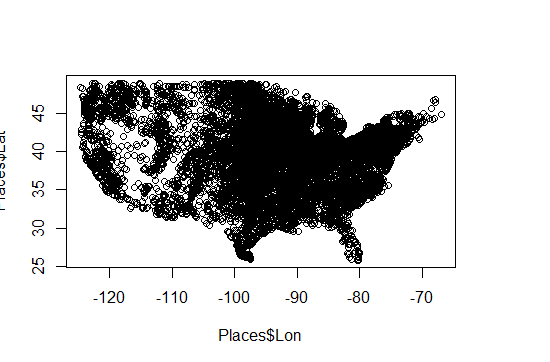 One person has already done this incorrectly ( or sub optimally ) so, I’m planning on approaching the problem with Kriging. 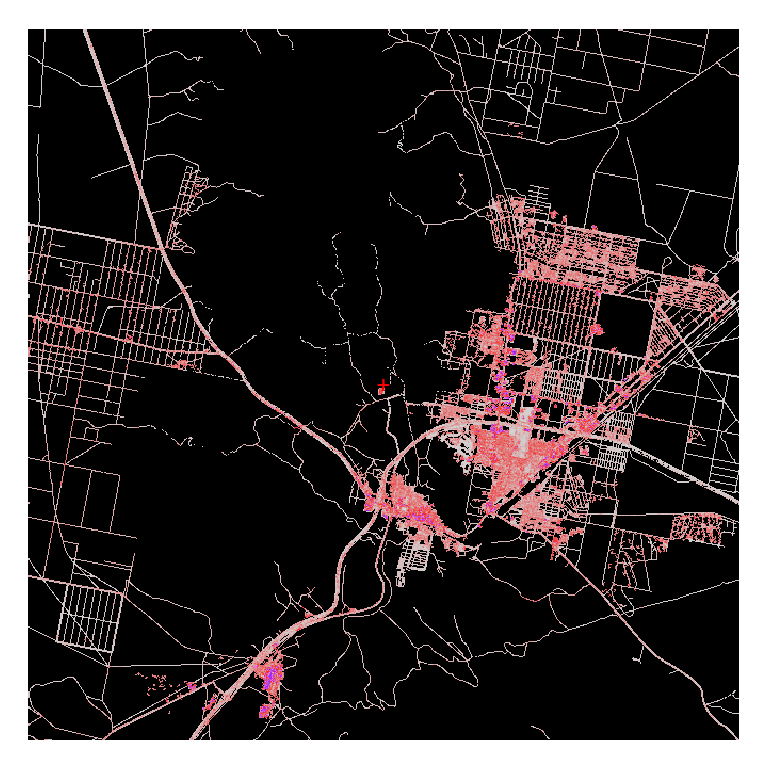 For this I won’t use the Berkeley Earth code because I want to do something in R, using gstat perhaps. 3. Landcover study. 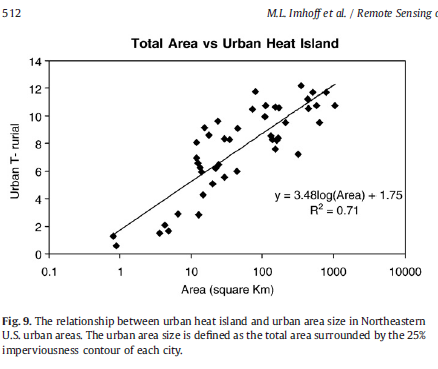 I’ve been reading a bunch of papers by Marc Imhoff on SUHI and the relationship between SUHI and impervious surfaces, tree cover, etc. and Marc’s team has done some really cool work on the relationship between SUHI and the particular biome that a city is embedded in. 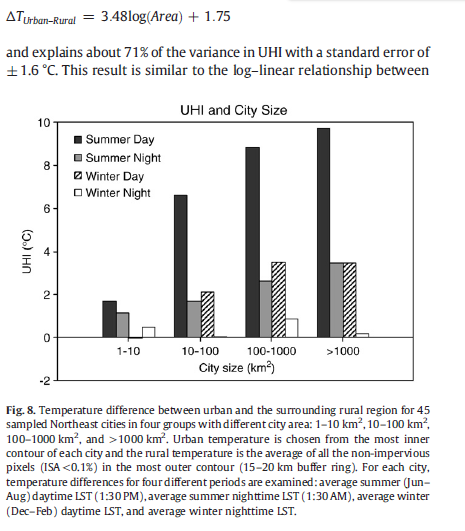 In some forthcoming work they also look at the effects of city size and city shape on SUHI. A a few points in their papers they have hinted at SUHI effects for even small urban developments with areas around 1 sq km. I’d like to understand that better. To pull off all these projects I will need some rather detailed metadata, more detailed than I’ve ever worked with before. For starters I needed a station list for the CRN and USRCRN stations. There are any number of ways of getting this data, but I drop a note to Matt Menne of NOAA and he directed me to Michael Palecki who was kind enough to send me a csv file of stations. 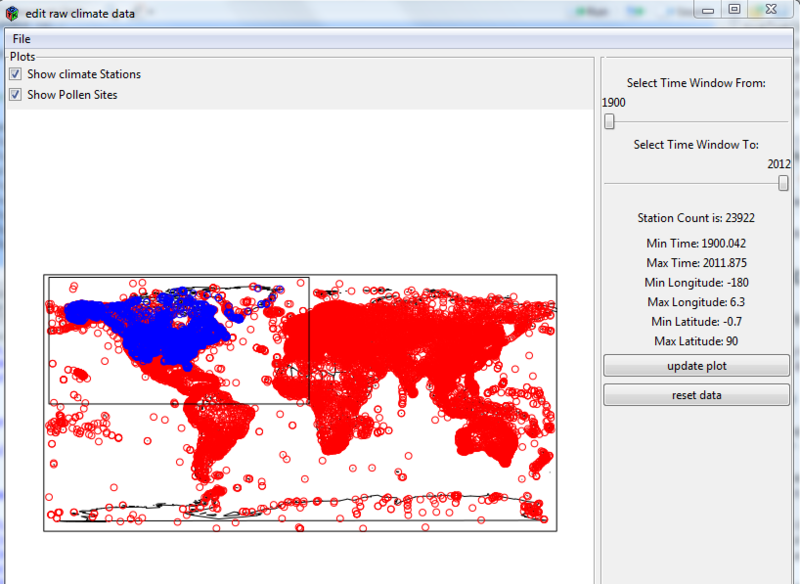 The thing I was looking for was the most accurate Latitude/Longitude data I could find, and Michael supplied it. Next task was collecting metadata for the stations and assembling a variety of tables. I won’t document that work here, but just to give you an idea of what I’m putting together For every station I have the following : 1) elevation,slope and aspect from 30 meter DEM. 2) distance from the sea coast, distance from the nearest body of water, and percentage of the “land” that is covered in water over a broad range of radii from the site. 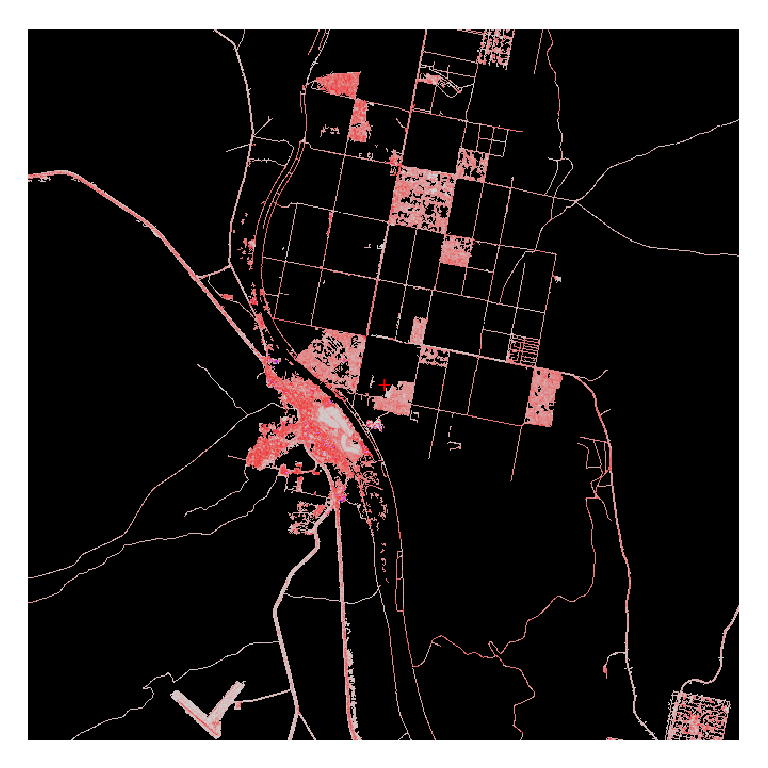 3 various landcover datasets. 4. Impervious Area. 5. Biome. 6 Anthrom. 7 Populations from various sources and at various levels of accuarcy. 8 Housing. 9. Nightlights ( stable and radiance calibrated ). 10 economic activity. and I plan to get LST and probably Modis Albedo. So where does Oscar and rasterVis come in? 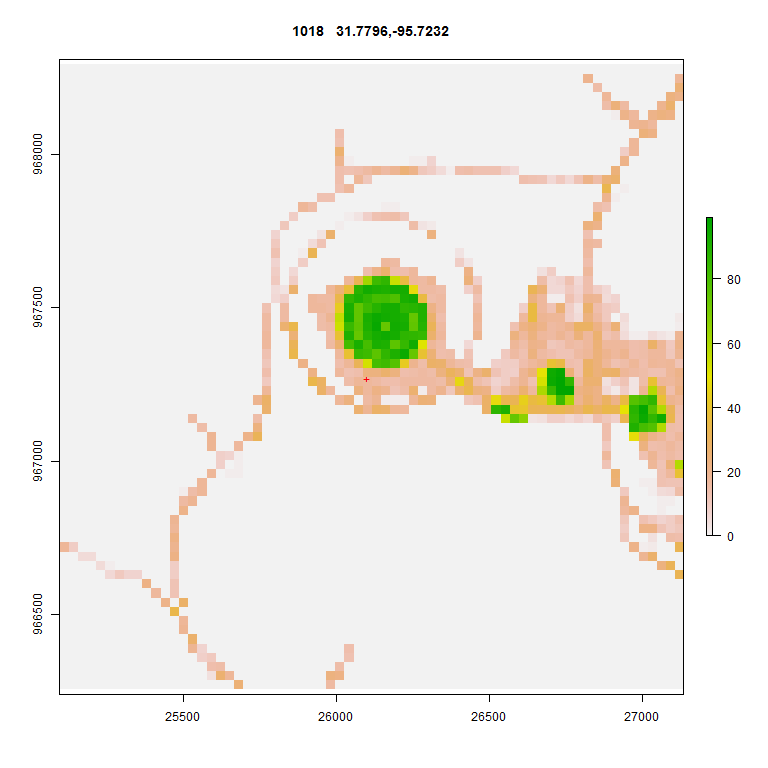 Specifically in this case Oscar came to the rescue for a plotting problem I was having with landcover data. 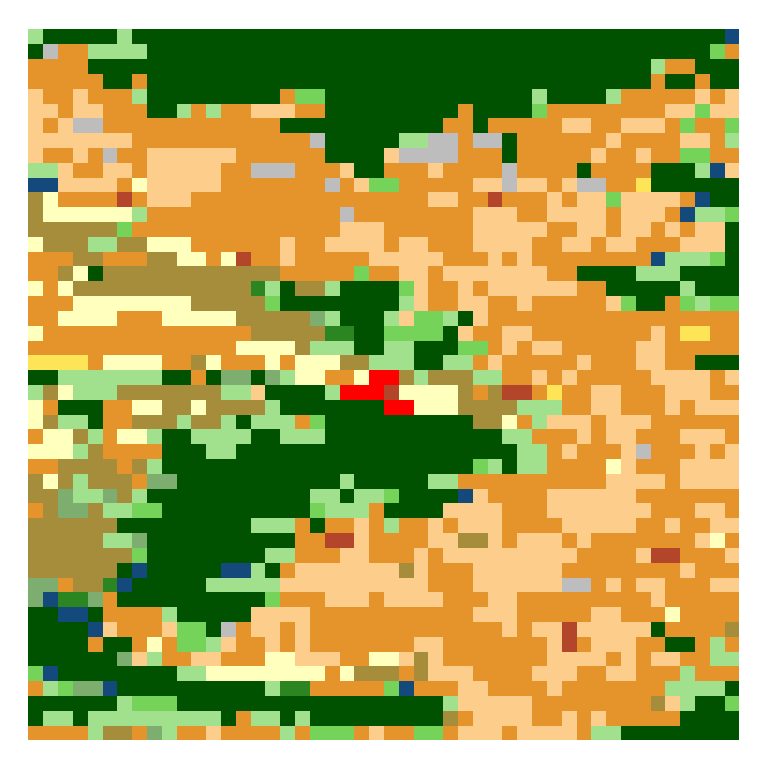 Using the 2006 NLCD 30 meter land cover dataset the first thing I do is save off “patches” of landcover for roughly 1 degree around the site. 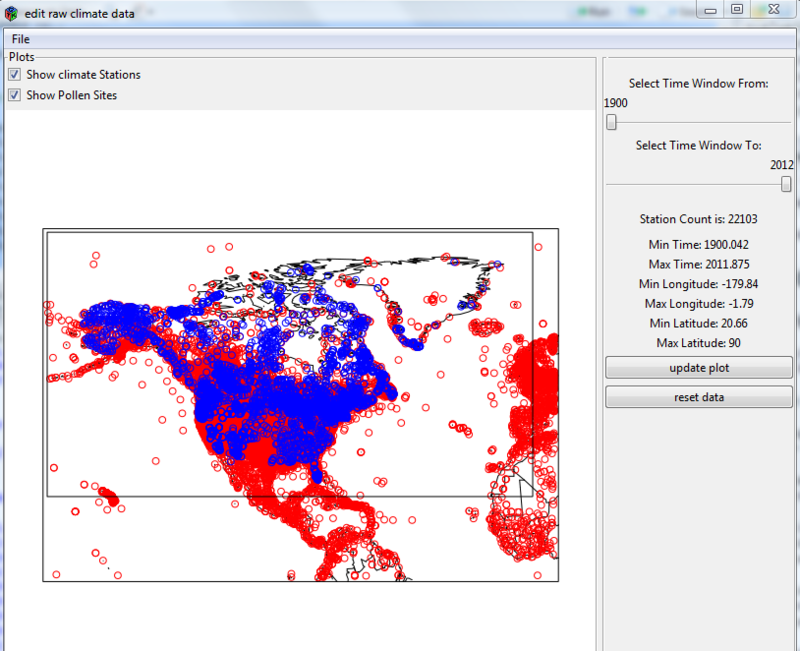 The 30 meter dataset is huge and things go much easier if I just create small data sets for each station. Pretty simple. 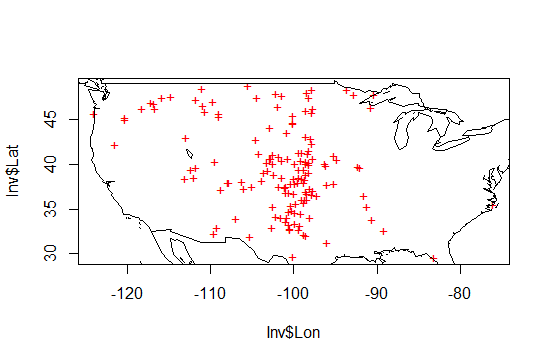 For 2006 Alaska and Hawaii are not in the dataset so we just skip them. 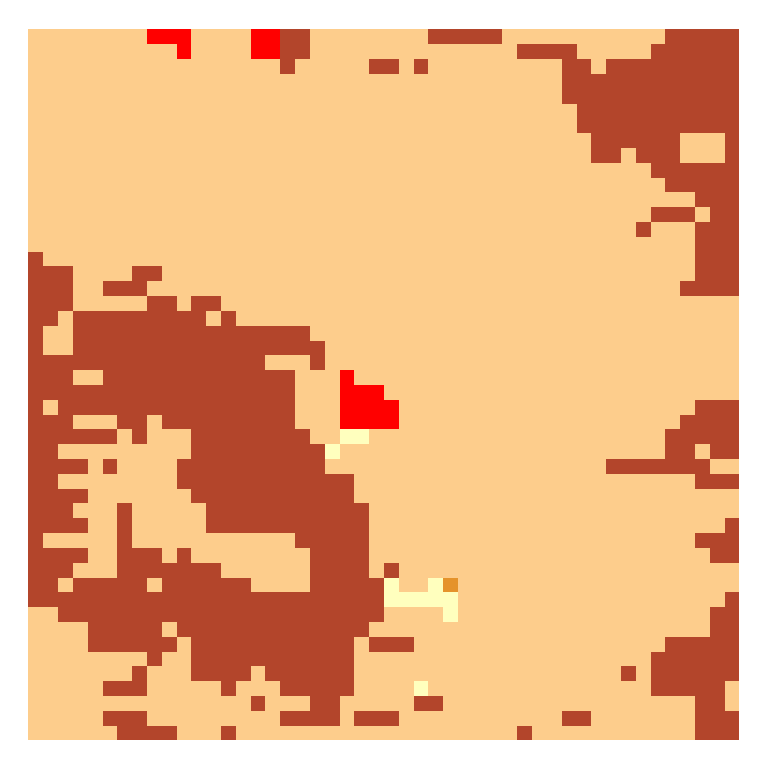 The output of this is a small grid with the station in the center and 30 meter landcover data for 110,000 meters in all directions. That’s the data I will be working with. In addition to creating 1 degree patches for every site I also create 1km patches which makes a nice size for display. That’s where rasterVis comes in. There are a bunch of problems here. 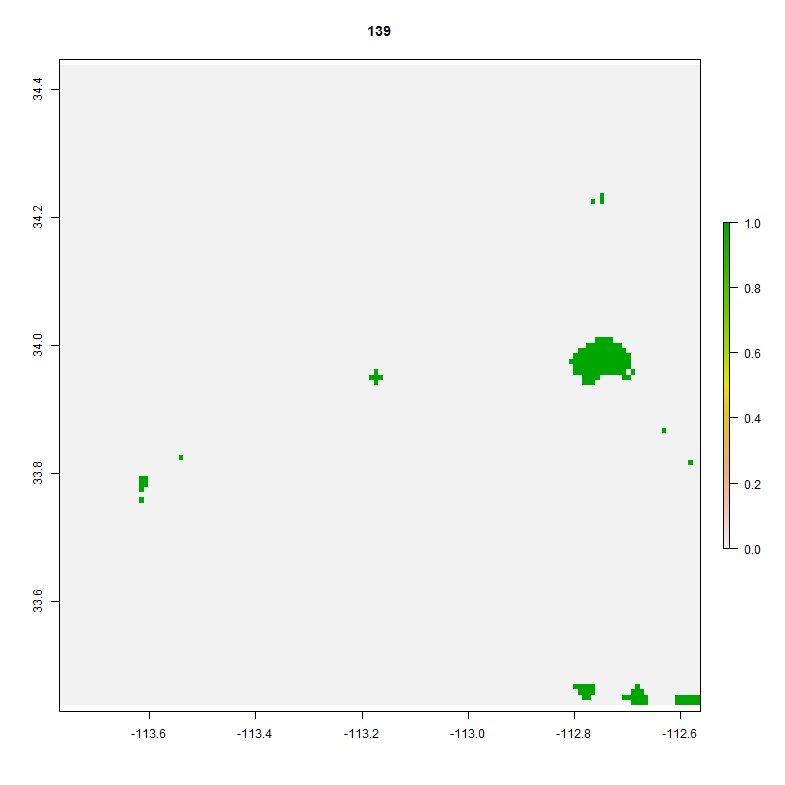 First and foremost I could not get a consistent coloring for these plots. 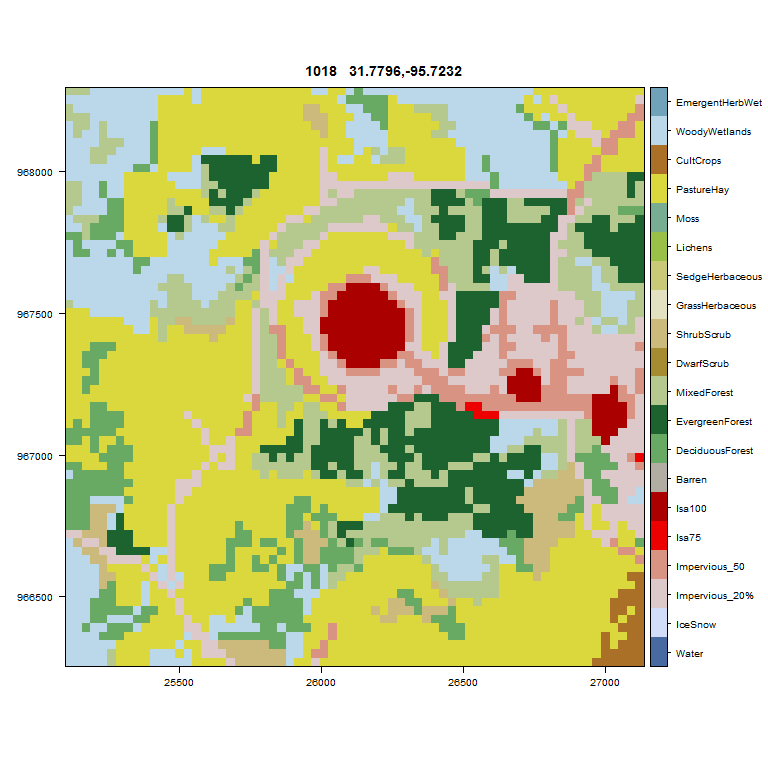 The issue is that plot() in raster was considering my data to be integers rather than factors and if land cover types were missing my colors scheme changed from plot to plot. I’ve got some work to do to switch back to the official legend descriptions but the maps now use the rgb from the standard and every map is consistently covered. In the next installment I’ll post up Oscars code. If you haven’t worked with the gWidgets package it’s worth some time exploring it which is what I’ve been doing for a little paleo project I’ve been working on. After struggling with the few demos and tutorials I could find I went ahead and bought the book: Programming Graphical User Interfaces in R. Luckily the book was a little better than the tutorials which just scratch the surface. GUI programming, in my mind, is unlike other programming and I had many false starts, primarily struggling with lexical scoping issues and getting widgets to update based on changes made to other widgets and the underlying data. The only reliable method I could find was <<- Yikes. I’m sure over time I’d figure away around making these type of “globals” it ended up looking pretty but being ugly under the hood. And the plot updates. Here I’ve selected an even smaller region. Unfortunately if you make a region too small, the ONLY way to undo that mistake is to “reset data” which brings you back to square one with all the data present. 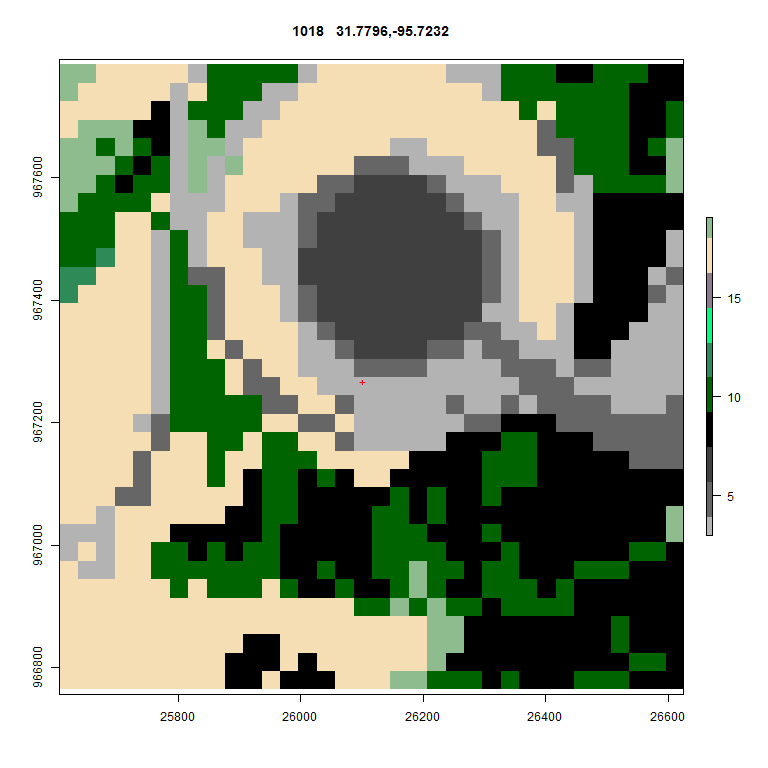 The last step is to adjust the time window: Here I want to build a dataset from 1961 to 1990. So I move the gsliders() and hit update plot. The last step I have to write is the “save file”. I also had plans to add more plots, like stations versus time, but at one point I hit a nasty gWidgets error about hitting the limits on the stack. Probably my programming. For now, this will do. For future projects I think I’m going downstream to do toolkit programming. The layout restrictions in gWidgets did cramp my style and I really haven’t mastered the whole “signaling” handler, updating widgets.. perhaps I should use an observer model.. more reading. I usually post code. In this case its so ugly that it would probably teach you bad things. When I get better at this I’ll do some tutorials. I notice from time to time that people download code from the drop box. The drop box lags CRAN. I’ve upload the newest versions to the drop box. In the future I will post new releases to the drop box before I submit to CRAN. The process of working on metadata and temperature series gives rise to several situations where I need to calculate the distance from every station to every other station. With a small number of stations this can be done easily on the fly with the result stored in a matrix. The matrix has rows and columns equal to the number of stations and it is filled by looping through the various station combinations. Of course one need only calculate the distance for every pair once. When the number of stations increases to 10s of thousands, such as with the Berkeley Earth project, there are two challenges. First is the time that the process takes and second is the memory it consumes. Handling the space problem is relatively straightforward and I decided to use bigmemory to store the data. The speed problem is an entirely different matter, but I’m making a little progress. In addition to storing the data I also want a way to quickly retrieve the neighbors of a given station and I want my solution to be relatively bullet proof and easy to understand. Some things to note: I set the rows and columns to be equal. I initialize the data with NA. We only write into the upper diagonal of the matrix and I want the other values to be NA. I set the dimnames so that the rownames are equal to the station Ids. They can be numbers or characters. When you seek on the file you’ll use the station ID. So, you could use characters ( “USC26541328”) for station Ids and the functions will still work. I also set a directory where the file is written, the file name and the decriptor name. Note, the decriptor name is DERIVED from the filename by simply changing the extension: “distance.bin” has a file descriptor of “distance.desc”. Type is set as “double.” Next I do a couple of things that might look confusing. Sometime a station has no Latitude or Longitude. I handle that here by allowing those stations including in the Inventory, but I detect that problem and write a negative distance in the appropriate rows and columns. Our matrix will have 3 values: distance, a negative filler, and NA for elements of the matrix that dont have to be calculated ( lower half of the diagonal ). I also determine which rows have valid Lat and Lon. That will be used as a set for looping controls. Below we set the row and column of stations that have missing Lat/Lon to -9999. Time to loop over the data. The approach is simple: Imagine we had a 4×4 matrix: we want to generate 1:2;1:3;1:4;2:3;2:4;3:4. Our first loop control goes over the 1-3 and the second goes over 2-4. 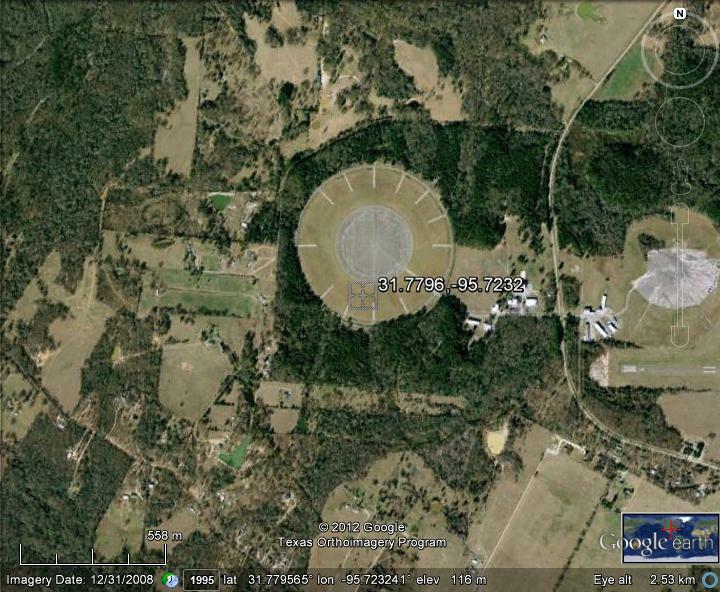 Because some stations have missing Lat/lon we will skip over them. That is the purpose of validLonLat. It conatins those rows that are valid. Creating a matrix of 1 million elements takes a bit over 6 minutes. For this we are calculating roughly 500K distances. I’m sure part of the slowness of this approach is the repeated writing I am doing to the file. So, I’ll have to investigate ways to buffer this, but for now it works. I could also see ways of using apply(). Now, lets look at how we get data from this file. That line collects all the neighbors for an Id including the Id. Next, we take the cell that is NA D[dex,dex] and set it to 0 in neighbors. Finally we take the negative distances and set them to NA. I suppose I could just as easily get rid of the whole setting things to -9999 ploy and probably will in a final version. So, station 331 had a missing Lat/Lon and station 333 is zero km from itself.